FIONNUALA O Connor’s (August 7) article raises questions as to just how knowledgeable TDs in the Dáil are about Northern Irish affairs. Similarly, Cillian McGrattan’s observations in the News Letter (August 2) arguably serve to conceal and befuddle. The term ‘state-centric’ is obviously centred here upon the British state. However, this overlooks the acknowledged claim by the Provisional Irish Republican Army Council to be the ‘legal and lawful government of the Irish Republic’, which arguably places a ‘statecentric’ responsibility upon that organisation as well. This claim was officially and publicly acknowledged during 2002 by the Irish government’s then attorney general, Michael McDowell. At the time I petitioned the European Parliament to resolve competing claims by the Irish Republican Army Council and the Irish government to be the legal government of Ireland on the basis that the legal framework underpinning the European Union was itself undermined by these competing claims as successive treaties had to be signed off by the legal government. The full text of the petition is published in The Man from MENSA – 1 of the 600. Politics 1990-1995 (2016), 142-3. If I remember correctly, the European Parliament wrote in response that they were referring the petition to the European Commission due to its ramifications. Arguably this matter was resolved 15 years’ ago. But, what is the importance of this legal claim, if any? Firstly, are there implications for Brexit? Secondly, the Irish Republican Army Council is unburdened by those responsibilities loaded onto the shoulders of the British government as a state actor in this conflict referred to as ‘the Troubles’. Dr McGrattan observes that “transitional justice [...] has been applied in situations where the state has been the main perpetrator of violence and the legitimacy of the legal system placed in doubt”. But, which state? Whose legal system? In a conflict where the army council claimed for itself the status of a state these are important questions. Furthermore Dr McGrattan’s piece is juxtaposed with a letter from TUV leader in which he refers to a ‘failure to pursue terrorists’. But, in light of the army council’s legal claim are these ‘terrorists’ or ‘soldiers’? And who is to say? There are legal implications either way, but these are unlikely to be resolved or addressed outside academia. There is more to this legacy process than Dr McGrattan and other players would have us believe, and far more questions than answers. If “concentration on the state facilitates the wishing-away of historical culpability of republicans” as Dr McGrattan observes then this is arguably in no small part due to academics, and others, failing to address the army council’s claim to be the state. Lastly, Fionnuala’s ‘student of republicanism’ might have to go back to school. REGARDING recent rumours that the EU negotiators are minded to soften the ‘backstop’ and further news reports that the DUP may accept a regulatory border in the Irish Sea, this would still leave Northern Ireland law subject to EU courts rather than parliament in Westminister. All NI business would be subject to EU regulations despite most not trading with the EU but more worryingly we would have absolutely no say and no vote in the creation of these regulations. Admittedly many regulations can be influenced by the UK on a global scale through bodies such as ISO, UNECE etc. 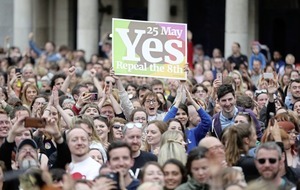 But ultimately Northern Ireland would be a vassal state of the EU and would undoubtedly result in voters lobbying MEPs in the Republic to ‘represent’ them in the EU. Such a scenario would leave unionism very isolated and it is hard to believe the DUP is even entertaining the idea. 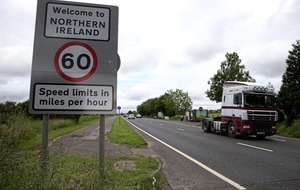 Having rejected the Chequers’ deal Brussels is using Northern Ireland to manoeuvre the UK as close as possible to their preferred option of EEA plus customs union – possibly via the backstop. In contrast the UK will only receive a non legally binding “political declaration” on the future relationship. You have to ask – if the EU manage to get close to their preferred EEA option via the backstop, why would they seek to seal the UK’s preferred option of a Free Trade Deal? ON three occasions in the past three weeks the high cost of funerals has been referred to on the BBC main news, ITV main news and lastly on ‘Thought for the day’ on Radio Ulster. This ‘taboo’ subject is seldom spoken of and people pay the undertaker without complaining as it just ‘wouldn’t seem right to quibble’. I believe it’s time for ‘funeral directors’ to come into the light and give us [Joe Public] a breakdown of the actual cost of all that’s involved in the sad business of burying our dead. In this day and age businesses like PVC windows and doors, kitchen and bathroom installers, tree trimmers and fellers are happy to advertise their prices and most will beat any quote any person has been given. So why are the costs of funerals handled differently? DUP MLA Jim Wells has accused his former party colleagues of bringing the DUP into disrepute by co-sponsoring the vulgar and highly embarrassing event ‘Alternative Queer Ulster’. This event contained vile and filthy language which was most certainly not appropriate and was very offensive to decent folk. 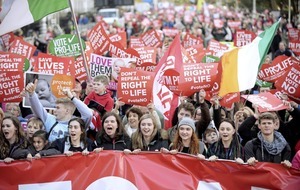 In response to the controversy the DUP has said that no-one will act as a cosponsor for such an event in the future. Too little, too late. We are deafened by the silence of Rev William McCrea (retired FPC clergyman), Mervyn Storey a church Elder and Sunday School teacher Paul Girvan MP, and other professing Christians in the DUP that have suddenly been struck silent and this leads me to suspect that these politicians have a great deal more loyalty to their political party than having the courage to condemn sin and debauchery when it is flaunted in our face. It is interesting to note that Paula Bradley MLA did not know the participants or the programme of events. As any astute business person would not sign any documents whatsoever without being fully aware of the contents and implications this shows poor political judgment and begs the question: Did the DUP authorise her actions?